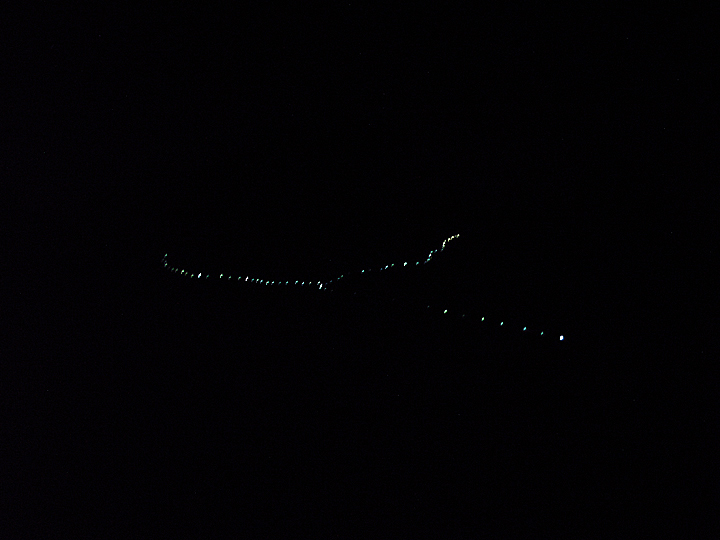 Title: The River of Migration, 2010. 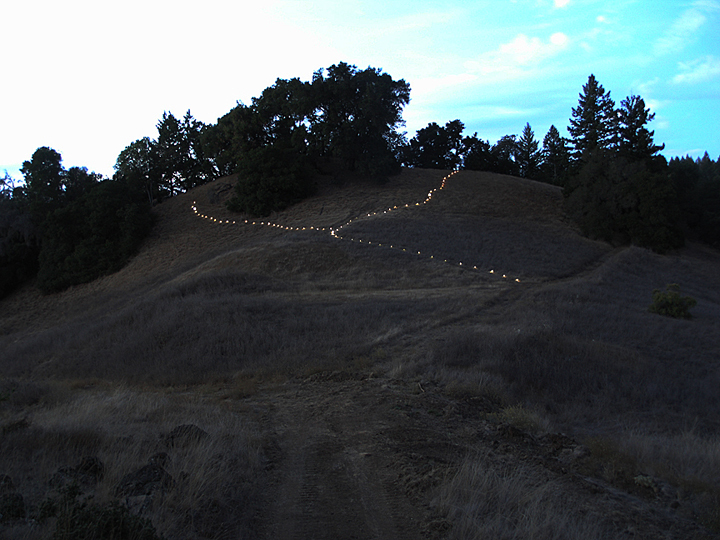 A video documenting the lyrical land and light art piece memorializing those who lost their lives attempting to cross the US-Mexico border. 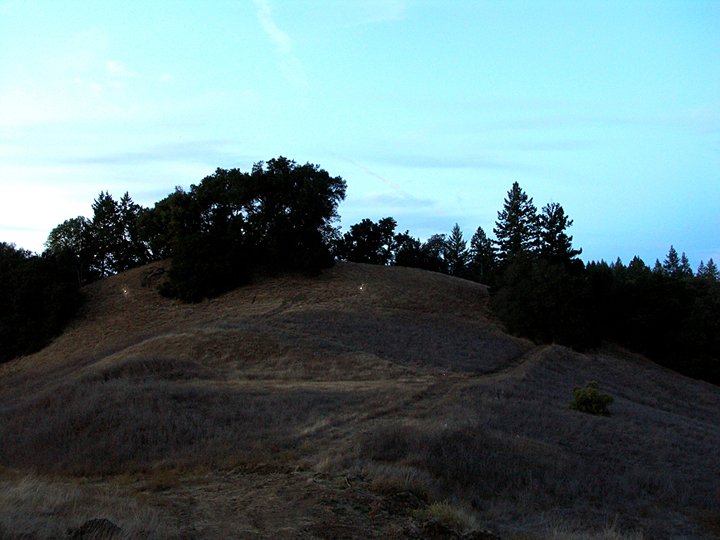 Located in Sonoma, CA at the artist residency, Life is Art Foundation, the light installation consisted of 72 solar panel lights that would ignite unevely as the sun set until sunrise, when bordercrossings are the most busy. 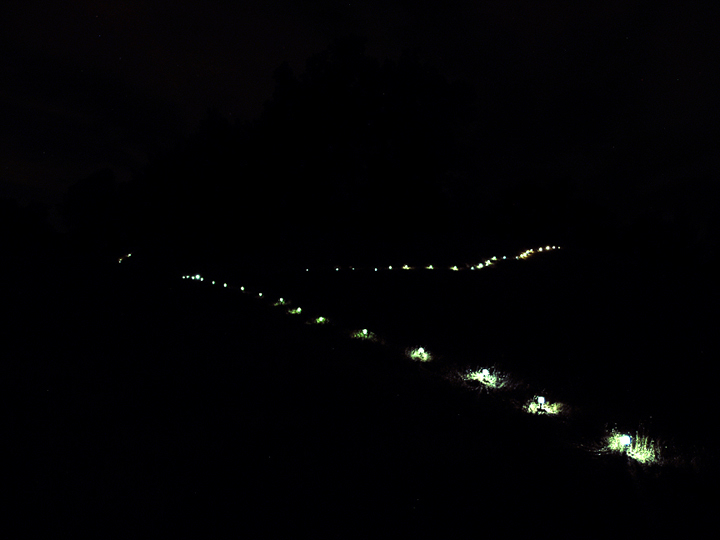 The 72 lights represent a specific group of people from various Latin and Central American countries who all lost their lives when refusing to smuggle drugs across the border.